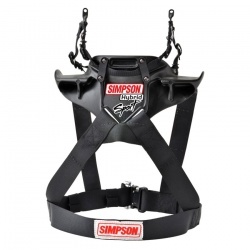 Hybrid FHR devices, perform the function of a HANS device, they are worn on the upper torso, rather than being 'clamped' in place by the safety harness. 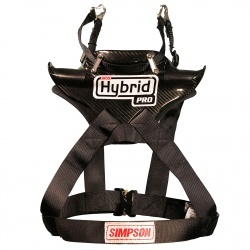 Hybrid devices do offer 'an amount' of additional angular protection, compared to traditional HANS devices. In circuit type events, the original style is the device of choice, but in rallying, auto grass and off road events, Hybrid models are growing in popularity. Whichever your choice we offer them all, call for any assistance on 0208 655 7877.